Thinking about adding a concealer stick to your makeup bag but don’t quite know where to start? No worries! Using a stick formula is a quick and easy alternative to other concealer options – great for their ability to conceal on the go and to be applied seamlessly. Just keep a couple of tips in mind. What’s the most appealing thing about using a concealer stick? The convenience! Unlike options that come packaged in a pot or that rely on a wand, the stick makes application easy in most cases and can be used all over the face, assuming the shade is on point. Equipped with a cap and usually not larger than a tube of lip balm, a concealer stick is easy to carry in any bag, pocket or clutch. And because the formula used is thicker than one you might find in the liquid variety, it's often easily blendable with just the tips of clean fingers, making it a no-brainer for anyone looking to touch up on-the-go. First, you’ll need to find the right shade of concealer for your skin. Concealer is typically used for two reasons: to hide imperfections, such as fine lines, dark circles or acne marks, or to highlight areas of the face to help balance the contours of what you’re working with. In either case, you’ll want to look to a shade or two lighter than what you'd use on the rest of your face – but no lighter than that. To cover circles under the eyes, look to yellow or peach undertones to hide blue or brownish hues. To conceal redness, like pimples, recent acne scars or broken blood vessels, opt for a stick with either greenish tones to balance the red or something that matches your skin tone exactly so you won't draw more attention to the area of concern. Depending on what you’re using a concealer stick for, you might need a tool to help apply or blend your formula onto the skin. 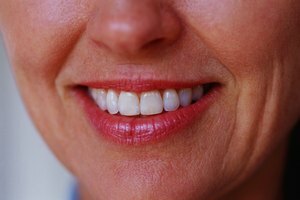 Clean fingers are often enough for touch-ups, but a blending tool or fine-tip brush may be needed for specific concerns. 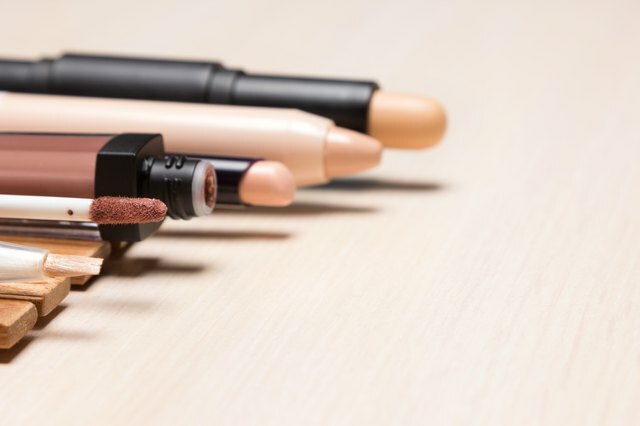 Concealer can be used for a variety of different things, and a concealer stick can easily tackle them all with the right application techniques. To create a clean line under brows, to prime eyelids or to add a little dimension to lips, simply drag the concealer stick over the area and blend or pat into the skin with fingers that you're sure are clean. To highlight using a concealer stick, mark the areas of the face you wish to brighten by drawing onto the skin, then blend out with fingertips or a damp makeup sponge of your choice, depending on how much is used and where. For color-correcting under the eyes or around the corners of the nose, a concealer stick can be applied directly to the skin, but take care to use a gentle hand and not drag already delicate skin. For a seamless finish, prep the skin under the eyes with a moisturizer or light eye cream to avoid magnifying fine lines. To conceal pimples or acne scars, a fat or wide stick will likely cover too much of the surrounding skin, which can be remedied with the use of a fine-point concealer brush. If carrying a brush isn’t an option, a skinny stick will be your best bet, but as always, take your time and build up to avoid drawing unwanted attention to the concern in question. Finally, to keep your concealer stick clean and ready for multiple uses, wash any fingers, brushes or sponges that may come in contact with it. If you use the stick to apply concealer directly to your face, use a tissue or cotton pad to wipe the top before or after each use to prevent the transfer of oil, dead skin cells or bacteria onto the skin.